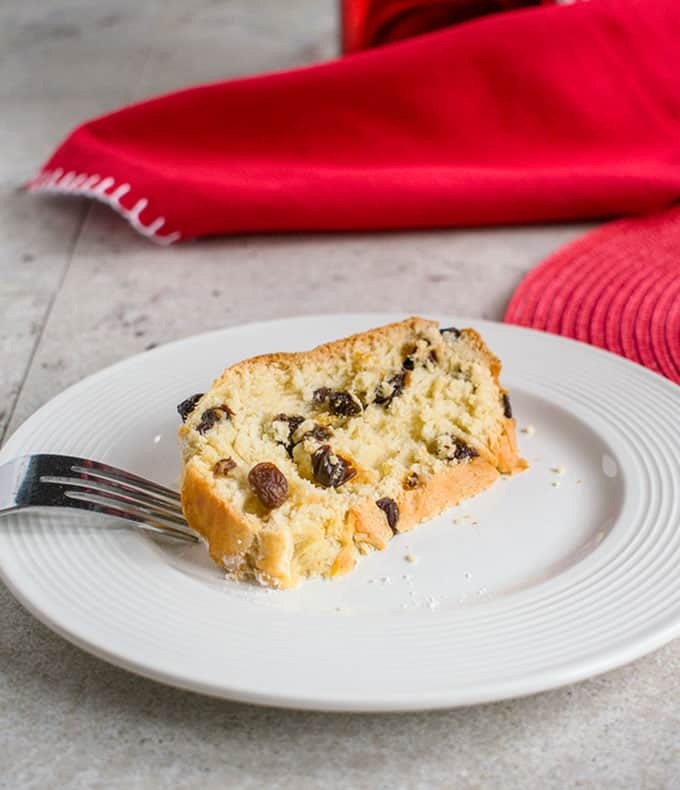 I’m excited to share this overnight panettone recipe with you! 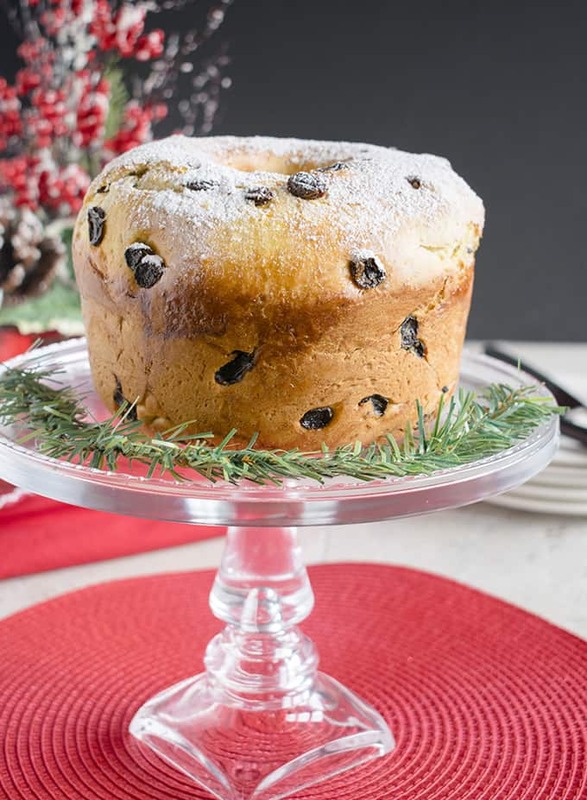 Panettone is a lightly sweetened, Italian Christmas bread with dried fruit. My version has rum-soaked raisins, vanilla sugar and citrus zest. I’ve had panettone (pahn-ay-toh-nay) on my baking bucket list since I started this blog. Every year of my life, we’ve had store-bought panettone during the Christmas season. My brother nicknamed it “Tony’s bread” as a teen, and we’ve jokingly called it that ever since. It’s an Italian thing to purchase at least one of these domed, fruit-studded loaves of sweet bread for home, plus more to give as gifts. Yes, people usually buy the panettone. In search of a more modern panettone recipe, I consulted Mom. She said she and Nonna had tried one here in America, but didn’t care for the results. Interestingly, she mentioned my great grandmother (Nonna’s mother-in-law), used to make panettone in Italy. I had no idea! We don’t have her recipe, but I thought of my great grandmother (Nonna Rosa) as I researched how to make panettone. I never met her, but her portrait hangs in Mom and Dad’s family room, next to my great grandfather’s. I’ve studied her face often over the years, because I inherited her prominent brown eyes and full lips. My panettone pursuit became even more special. I ended up adapting King Arthur’s recipe for overnight panettone, but I found the mixing instructions from An Italian in My Kitchen helpful. Serious Eats taught me that soaking the raisins overnight to plump them will prevent the fruit from pulling moisture away from the dough. After three rounds of testing, I’m happy with this panettone recipe. I brought some over to Mom and Dad, who both loved it. Dad said it’s the best panettone he’s ever had! The texture is somewhere between bread and pound cake. It’s difficult to replicate the airier store-bought version, with who-knows-what-methods and preservatives. But, I never thought the purchased kind was anything to write home about. You just can’t beat the fresh taste of homemade panettone. But it’s best eaten the first day. I recommend freezing the panettone if it won’t be consumed until after that, to prevent it from getting dry. I’ve provided tips for storing it at room temperature though (wrap it tightly in plastic with a slice of apple and bag it.) And, I highly suggest making French toast with the leftovers. So good! A tall pan with no tube is probably more traditional, anyway. But, if you don’t want to commit to owning a pan, you can purchase panettone paper molds from King Arthur Flour. Heck, some people bake panettone in a coffee can! 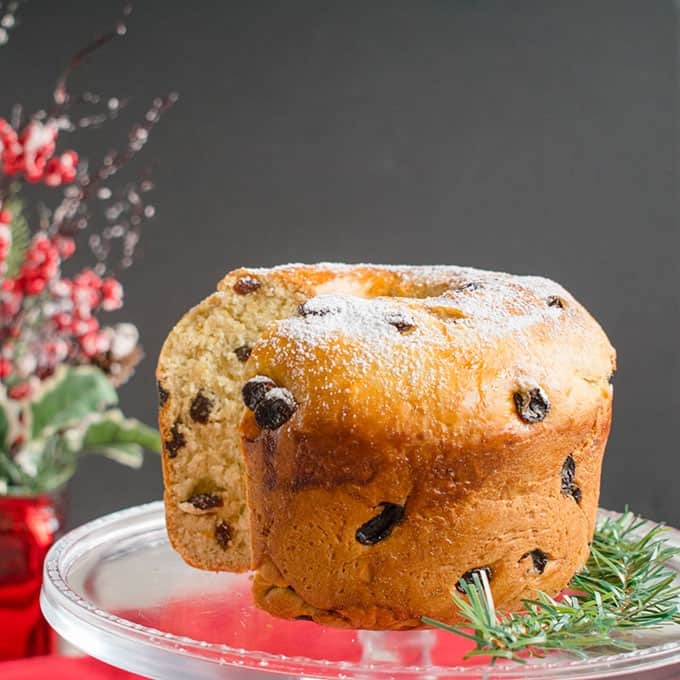 Friends, I hope you’ll try this Tony’s bread, I mean panettone recipe. 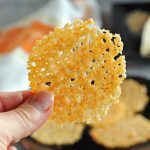 If you’re interested in making other Italian Christmas goodies, check out these Italian Cookies, My Son’s Tricolor Italian Cookies and this Homemade Chocolate Liqueur. Yum! A delicious overnight panettone! Note, you'll need a tall pan or panettone mold. Prep time includes the overnight rise. Make the starter the night before you want to bake the panettone. Add your starter ingredients to the bowl of a stand mixer or a medium mixing bowl. Stir with a spoon to combine. Cover the bowl with plastic wrap and a towel and let it sit at room temperature overnight (8-12 hours). Soak your raisins overnight at room temperature by adding them to a small bowl with the rum and covering them. See notes. The next day, make your dough by adding your dough ingredients (not the raisins and zest yet) to the bowl with the starter. For the flour, start with 2 1/2 cups and add the rest of your dough ingredients. Using the paddle attachment of a stand mixer, mix the dough for about 30 seconds. Switch to the dough hook attachment and knead the dough for 15 minutes (I use speed 2 on my KitchenAid.) After a few minutes of kneading, if the dough isn't coming together, add 1/4 cup of flour, scrape the bowl and hook, and knead some more. The dough will be sticky and won't completely clear the sides of the bowl. It's okay if there's still a 3-inch circle of dough sticking to the bottom of the bowl. While your dough is kneading in your stand mixer, drain any excess rum from your raisins. Rinse and dry your orange and lemon. Zest the orange and lemon. When your dough is finished kneading, add in your raisins and zest. Keep the dough hook but use the lowest setting to stir in the fruit until combined, about 1-2 minutes. Gather the dough in a ball. You can leave it in the mixing bowl to rise or transfer it to a clean bowl, if you wish. Cover the bowl with plastic wrap and a towel and let the dough rise for 1 1/2 hours in a draft-free spot (I like to set it in my microwave) until puffy. Once the dough has risen, it's time to add it to your greased panettone pan (6 or 7-inches tall) or other straight-sided, tall 1 1/2 quart-to-2-quart pan. You also could use a paper panettone mold. Let the dough rise again in the pan or mold for another hour, covered with plastic and a towel. Move your top oven rack down to a lower position to allow room for your panettone pan. 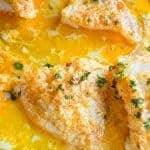 Heat your oven to 400 degrees F.
After 10 minutes, reduce the temperature to 375 degrees F. Bake at 375 for 10 minutes. Reduce the heat to 350 degrees F and bake the panettone for another 25-30 minutes. If your crust is browning too quickly, you can tent it with foil. Remove the panettone from the oven and insert a cake tester or toothpick to make sure it's done. 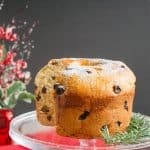 If using a paper mold, the panettone can stay in the mold. 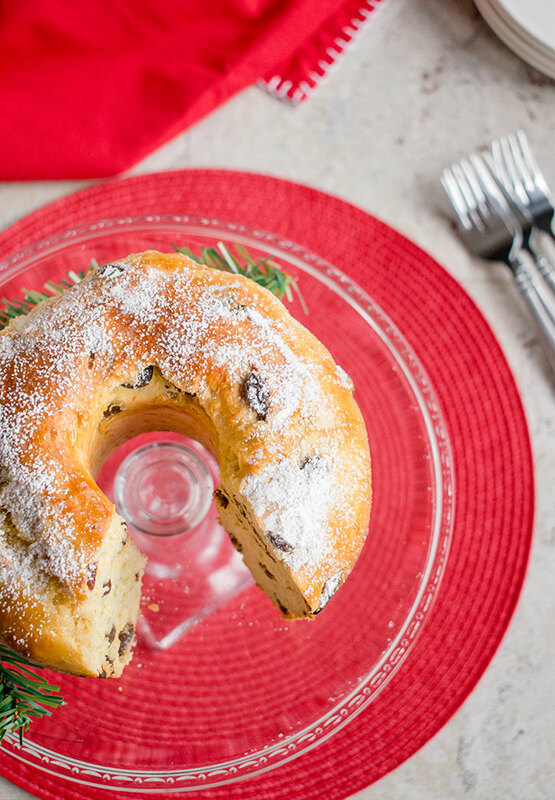 If using a pan, let the panettone rest for five minutes, then invert it onto a cooling rack. Turn the panettone right side up and let it cool completely before dusting it with confectioners sugar and slicing it. The panettone is freshest on the first day. You can freeze the cooled panettone by wrapping it in plastic then placing it in a freezer bag (slice it first if you wish) to keep it fresh. If you prefer to store leftover panettone at room temperature, wrap it tightly in plastic. (It helps to add a wedge of apple in there to keep it moist.) Then place the wrapped panettone in a sealed plastic bag. It should be eaten the next day or two before it gets too dry. Warming it a bit in the microwave helps to make it softer. You also can make French toast with the leftover panettone. This recipe produces panettone that's a cross between pound cake and bread. It would take days of preparation to make the kind of panettone that's sold in stores. I much prefer this version anyway! Vanilla sugar is simply sugar stored in a container with split and scraped (empty) vanilla bean pods. When I have a recipe that calls for vanilla beans, I save the leftover pods and throw them in my sugar bowl for flavor. If you don't have vanilla sugar, you can add an extra 1/2 teaspoon of vanilla extract to the dough. Soaking the raisins in rum plumps them and imparts flavor and moisture to the panettone. For a non-alcoholic version, soak them in water. If you don't soak the raisins, they'll pull moisture away from the panettone and make it dry. Adapted in several ways from King Arthur Flour. ok each step but it was not bready enough. Thinking cake flour might be advisable. 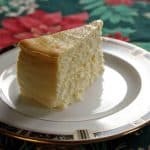 Hi Theodore – As I mentioned in my post, this recipe produces panettone that’s a cross between pound cake and bread. It would take several days of preparation to produce the kind of panettone that’s more like bread and airier. I like the idea of trying this recipe with cake flour though. Mamma C, is there an adjustment in the recipe for altitude? 5,500 feet above sea level. Carlo, I don’t have experience baking at a high altitude, so I can’t provide first-hand advice. 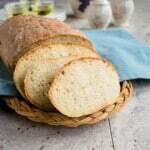 Here is a guide from King Arthur Flour that might be helpful. See the top and the section on yeast breads. Let me know if you try it! Pannetone is such a beautiful thing to behold! I made one only once, just to make a french toast dish with! It does have a presence, Lol! I hope you’ll give homemade panettone a try again and enjoy some before it gets made into French toast. Thanks, Mimi! Panettone is one my favourite things about Christmas! I bought one with dried fruits and raisins last week, and ate the whole by myself. But really need to try and bake my own Panettone. Thanks for inspiring me, yours looks amazing! Haha! If you love the store-bought one that much, wait until you try making it. The texture will be different, but the freshness and flavor will be so much better. 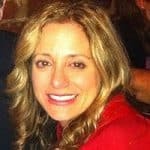 Thanks, Diana! That is so pretty!! 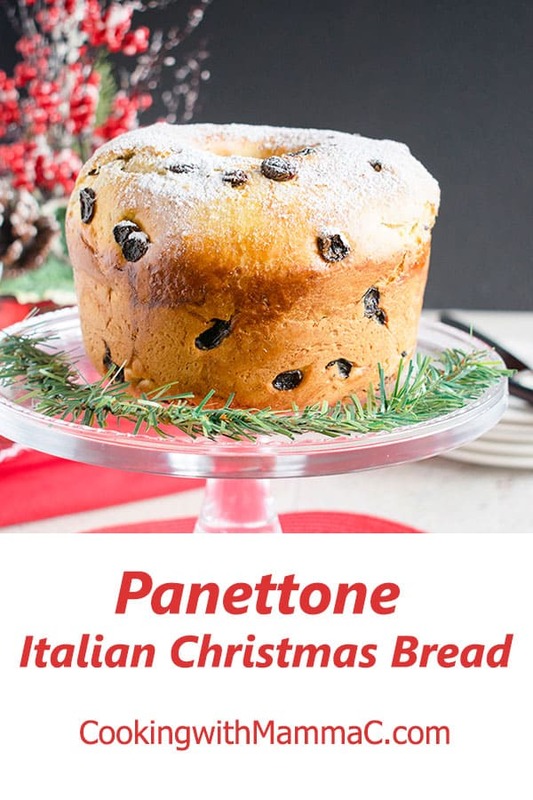 I’ve never had panettone but it looks so festive! It’s a great Italian tradition. Thanks, Liz! This is such a beautiful cake/bread! I love how you can decorate it to make it more festive for the holidays too! Panettone is one of my very favorite cakes/breads. I’ve never tried making it myself. I would love to give it a try! The homemade version is fresher and so delicious. I hope you try it, Patty! I’m so glad I finally made panettone, after having the store-bought kind my whole life. I hope you give it a try, Sarah. Thank you!